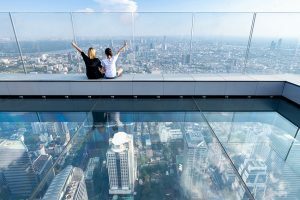 The opening of the glass-floored observation deck atop Buro Ole Scheeren’s MahaNakhon skyscraper in Bangkok marks the completion of the second tallest building in Thailand. 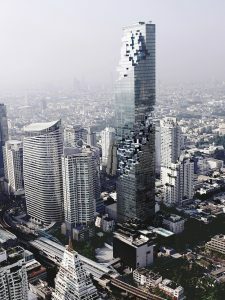 The 77-storey MahaNakhon — a name that translates to great metropolis — is defined by a pixelated form with cuboid cutaways that spiral up its facades. 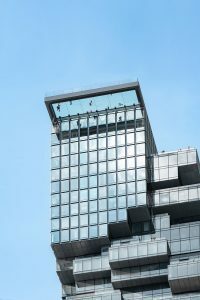 The building is topped with an observation deck that offers 360-degree views across the city. Named the Skytray, the walkable glass platform measures 4.5m by 17.5m. 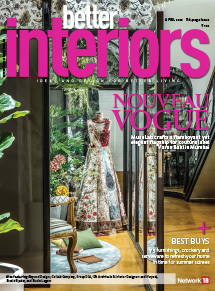 Inside, the tower contains a 150-room hotel and 200 serviced apartments, with several restaurants and luxury shops on the lower levels. According to German architect Ole Scheeren, the building and its numerous cutaway balconies were designed to encourage a connection between the interiors and the city. 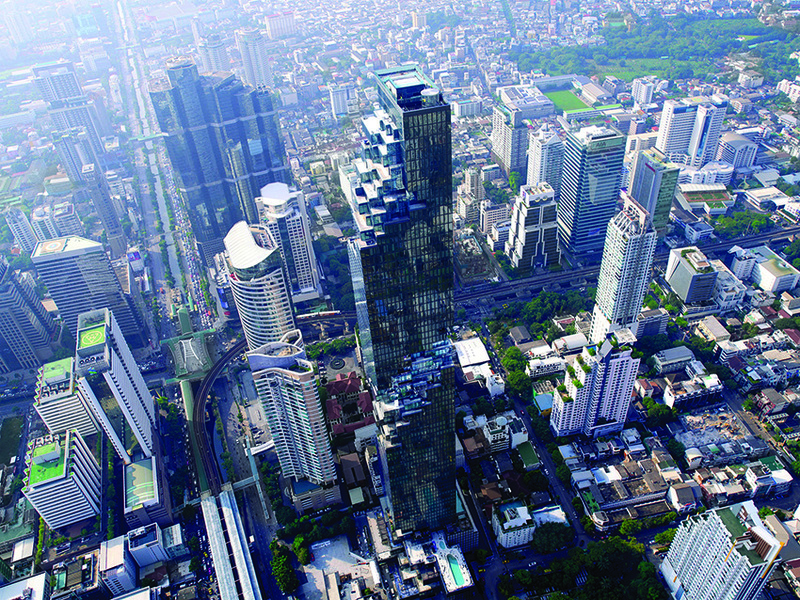 Buro Ole Scheeren was commissioned to design the tower while Scheeren was working at Rem Koolhaas’ firm OMA.